Here are findings that I have for sale. Beautiful iridescent Aqua Aura quartz from Arkansas. 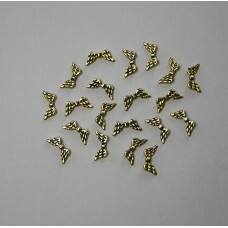 The size is about 18mm x 18mm x 7mm. ..
Beautiful iridescent Aqua Aura quartz from Arkansas. The size is about 16mm x 24mm x 15mm.&nbs.. The listing is for 20 beads. 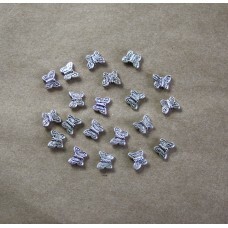 These wings can be used as shown in the close up or flipped over and..
Package of 20 pewter butterfly beads. 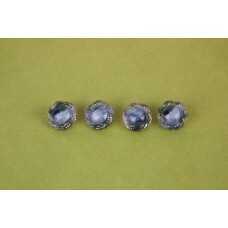 Pictures show the silver plated beads in a bright light. 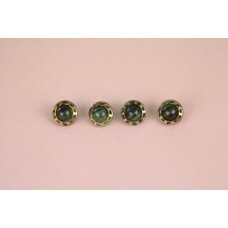 Th..
Vintage glass multicolored button. Size is about 10mm wide with a single hole ..
Vintage glass round button, purple with a pattern around the edge. The top center of the butto..
Vintage glass iridescent cream button. Size is about 10.5mm across. There is a si..
Vintage glass iridescent purple button . Size is about 10.5mm across. There is a single ..
Vintage glass multicolored button. 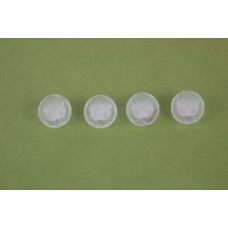 Size is bout 13mm wide with a single hole acros..
Vintage glass oval brwon button. Size is about 9 x 13mm. There is a single hole across t..
Vintage Glass purple Button. Size is about 10.5mm across. Single hole across back. ..
Vintage Glass Rose Buttons with Rose on the top. about 13mm across. Single hole across b..
Vintage Green round multi-colored buttons. Size is about 11mm wide single hole across back. &n..